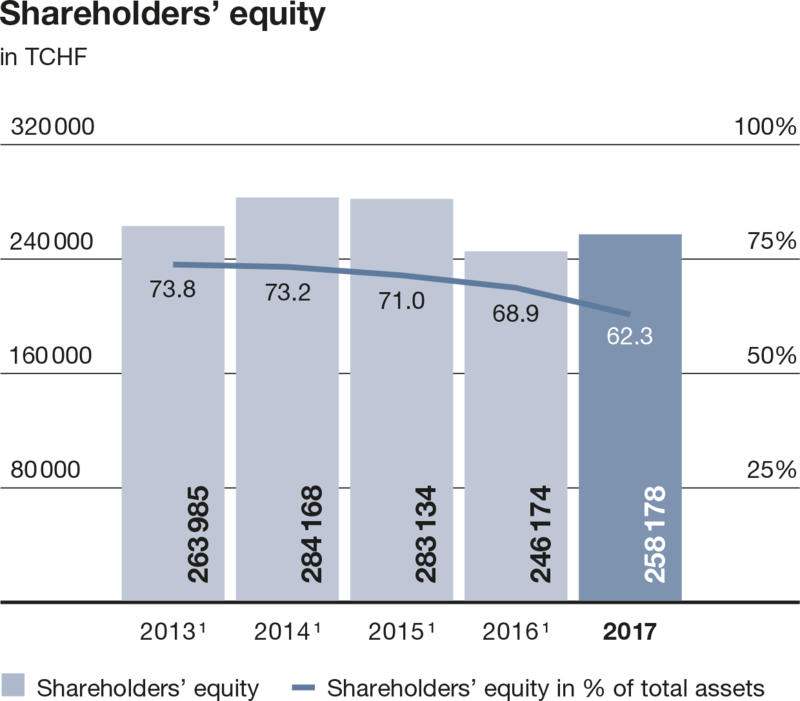 1Since the start of 2017, the consolidated financial statements have been drawn up in accordance with Swiss GAAP FER. The prior-year figures have been revised accordingly. 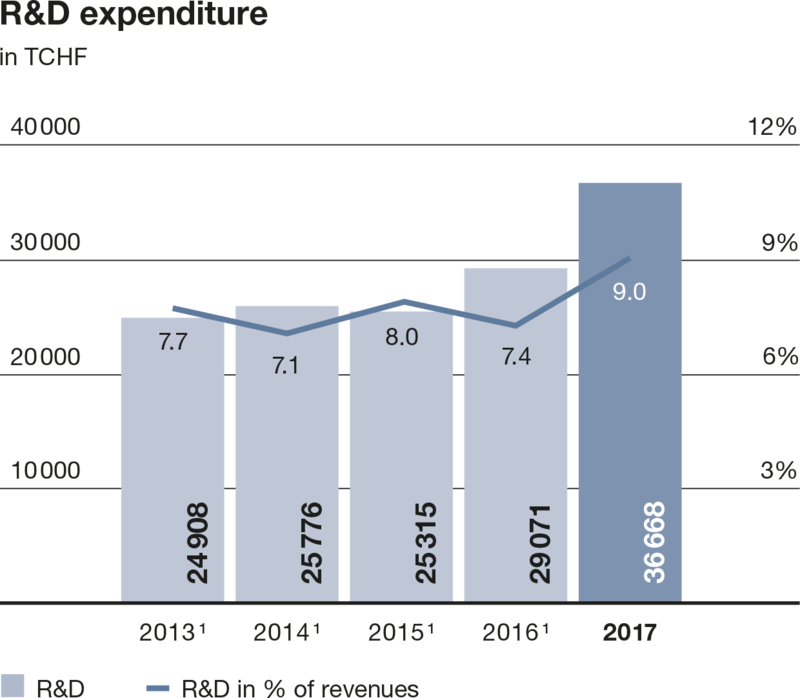 The years 2013–2015 are reported according to IFRS. 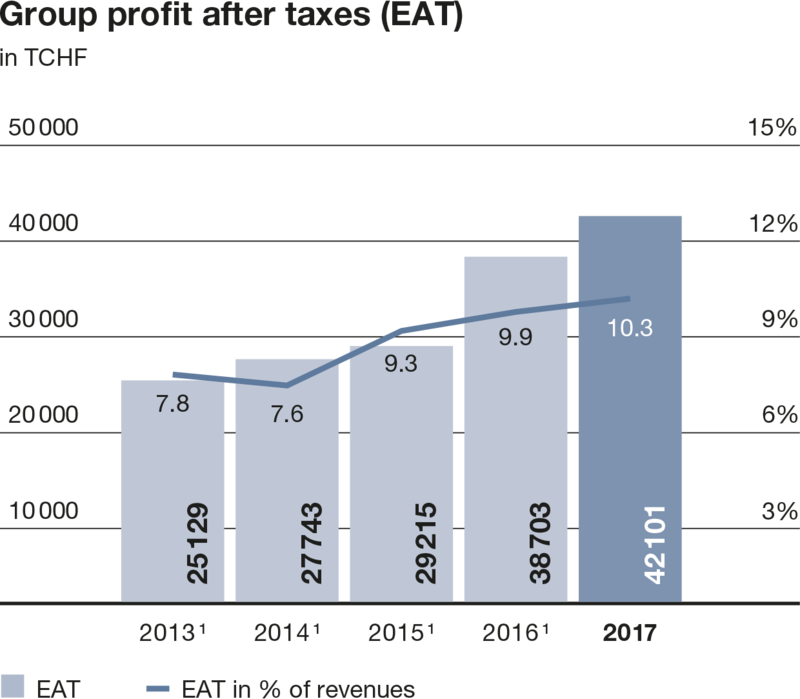 2Order intake of the Medtech business unit, which was sold in April 2016, is not included. 3Net working capital: receivables + inventories ./. current liabilities. 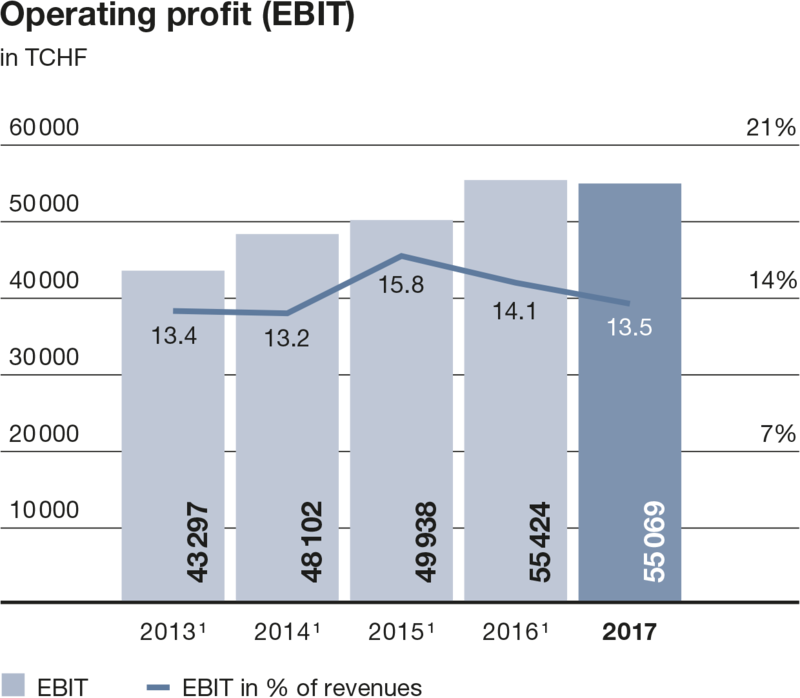 4Revenues of the Medtech business unit, which was sold in April 2016, are not included.